On Monday, June 10th, we invite you to the Hospitality House in Trenton for a day of grassroots lobbying. Because of your firsthand knowledge of the restaurant and hospitality industry, we depend on you to represent the Garden State's largest private sector employer while we meet with and educate lawmakers about policy issues affecting our businesses. 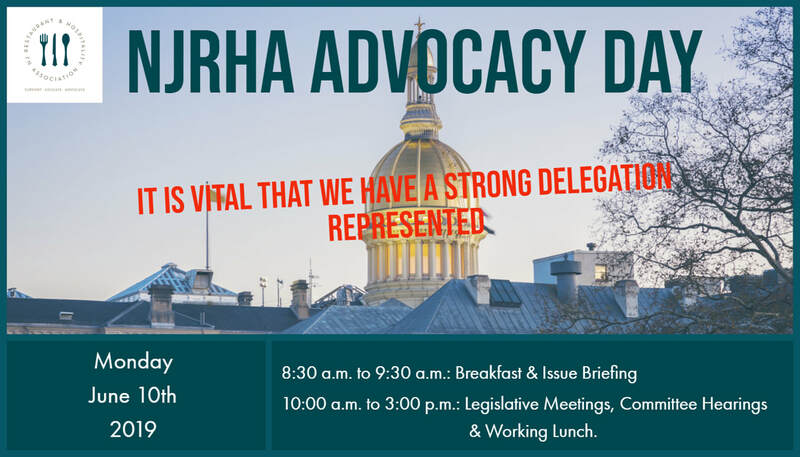 Monthly newsletter discussing the advocacy efforts that NJRHA does on behalf of our members. Thank you to our Super Allied Vendors!